Hamilton Parish is the second most eastern parish of Bermuda just west of St George. Hamilton City which is located some 8 miles away in Pembroke Parish has nothing to do with Hamilton Parish. Many tourists confuse the capital city to be part of the parish. In the early days Hamilton Parish was known as Bailey's Bay. It was later named after James Hamilton, the 2nd Marquis of the parish who made large investments to colonize Bermuda in the early 1600s. Hamilton parish circles around the Harrington Sound water area and has many deep water limestone caves and subterranean passages. The area is largely residential and has wonderful landscapes with waterfront homes and a number of public parks and nature reserves. If you are visiting St. George by land or getting out of St. George to the other parishes, you will need to go through Hamilton Parish. 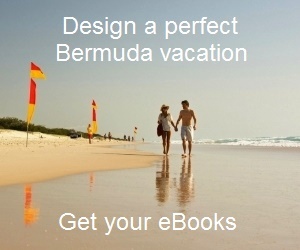 Some of the great hotels of Bermuda are located in Hamilton parish. Click the links below for details about these hotels. Category "$" indicates cheapest while "$$$$" is the highest. The property is located near the Flatts village. It's a great place for an informal and relaxing vacation. A cottage colony located in Hamilton Parish between City of Hamilton and St. George. There are some rooms with wonderful view of the ocean. The resort has been named after its subterranean caves or the grottos. It sits on a tropical estate with 21 acres of grounds on the water edge in Baileys Bay of Hamilton Parish. Opened in April 2009, this ocean facing hotel covers 200 acres of land in Tucker's Point. Check out Restaurants in Hamilton Parish to know about all the popular eateries and pubs in the parish along with detailed reviews and pictures. Even if you have limited time in the island, you would still like to plan at least half a day in Hamilton parish for some of the great attractions it offers. Check out the links below to get detailed information about the main attractions and sights in Hamilton parish. Bermuda Aquarium, Museum & Zoo: This complex is a home to over 200 species of fish and invertebrates. You will see great native fishes, exotic reptiles, pink flamingos and lot more all in a beautiful setting. It is a leading center for marine research in the island. Crystal and Fantasy Caves: Crystal Caves is about 120 Feet under the ground and one of the largest and best caves in Bermuda. Close to it is Fantasy caves. Leamington Caves: There are interesting Stalagmite and Stalactite formations in this cave. Blue Hole Park & Walsingham: A Nature Reserve in Bermuda spreading across 12 acres of land area. Shelly Bay Bermuda: Due to a long stretch of shallow waters, this is one of the great pink beaches of Bermuda ideally suited for kids and families. Flatts Village: It's is a sleepy but beautiful fishing village facing the Harrington Sound water area. It's a great place for snorkeling, kayaking, windsurfing, and even parasailing. Bermuda Railway Museum: Bermuda Railway Museum holds memorabilia of Bermuda's trains that operated between 1931 to 1948. Prospero's & Cathedral Caves: These two caves are located at the grounds of Grotto Bay Beach Resort in Hamilton Parish. Bailey's Bay and Coney Island: These are harbors for small boats with picturesque landscapes and small beaches. Glass Blowing Studio Bermuda: You will see exquisite pieces of glass make articles made by artists from hot molten glasses. They are for sale and you can buy one of them to take back as a souvenir. Harrington Sound Bermuda: This is a scenic inland lake connected to the Atlantic ocean by the narrow Flatts inlet. The view from Harrington Sound Road is marvelous. Abbott's Cliff Park: An 18 acres of nature reserve and a parkland with an unmarked lovely trail that goes all the way up to the Abbott cliff top. The views of water along the way and from the top are spectacular. The trail with its surrounding forests and plantations provides a glimpse of how Bermuda used to be centuries back. Shark Hole: At the eastern corner of Harrington Sound, this small water area is great for snorkeling. There are cliffs all around. A hairpin turn from Harrington Sound Road takes you into this cave-like water hole. Although the name suggests, it has nothing to do with Sharks. The cave or the grotto extends below the main road and if you get inside this area, you will hear sounds of traffic moving on the road. Bay Island Beach: This is located off North Shore in Bay Island. There are two tiny beautiful beaches. But you need to time it correctly. During high tide the beaches disappear. Usually the tide is low in the morning. Holy Trinity Church: One of the oldest churches in the western hemisphere, Holy Trinity is an Anglican church and located in a picturesque setting overlooking the Harrington Sound water area. The church has a graveyard and gardens with roses and royal palms. Cockroach Islands Nature Reserve: Cockroach Island also known as Cockroach Rock is a wonderful nature reserve in Bermuda, located in Hamilton Parish at the northern end of Harrington Sound. Blue Hole Water Sports offers a number of boating and water sports activities. They operate from the Grotto Bay Beach Resort. They have Boston Whaler motorboats, battery powered boats for relaxed cruising, kayaks, paddle boats, rafts, windsurfing boards, snorkel gears and more. You have a great opportunity to explore the water areas of Castle Harbor and Ferry Reach. If you love helmet diving and walking underwater on the sea floor among the corals and colorful marine life, there is a helmet dive operator Bermuda Bell Diving who offer a boat pickup from Flatts. They are one of the oldest and finest operators in the island. It's a 3 hour trip where the underwater experience lasts for about 25-30 minutes. For scuba divers, Triangle Diving, a five star PADI operator provides great opportunities and offers one & two tank dives, night dives, charters, certification and advanced courses. They operate from Grotto Bay Beach Resort. In March, a race Zoom Around The Sound is held to raise funds for Bermuda Aquarium Museum & Zoo (BAMZ). Cyclists, runners and skaters participate in this 7.2 miles race that takes a circular course around the Harrington Sound. The race starts and ends at BAMZ. There is an entry fee of $10. T-shirts and refreshments are given to the participants. Call 441/293-2727 ext. 130, or email [email protected] for further information. Regular themed events, storytime for kids, yoga classes, lectures etc. are held at Bermuda Aquarium Museum & Zoo. Call 441/293-2727 for information and schedules. There are several souvenir and gift shops in Hamilton Parish which are mostly part of tourist places and restaurants. You will fund such shops in Swizzle Inn Pub, Crystal Caves and even in Bermuda Aquarium Museum & Zoo. At the Aquarium, the store has stuffed as well as plastic animal toys for kids, classical CDs and nice collections of books based on Bermuda. Among the books, you will find great choices like The Natural History of Bermuda and Bermuda Reef Portraits published by the Bermuda Zoological Society. There is a branch of The MarketPlace chain of grocery stores called Shelly Bay MarketPlace which is located just east of Shelly Bay Beach in Shelly Bay Plaza. Other than a grocery store with in-house bakery, there are pizzeria, clothing and other stores here as well. There is a tiny convenience store called Twins Variety located on Middle road and half way up the Flatts Hill. Selling regular essentials including newspapers, cream buns etc., the store is owned by the twins Peter and Paul Adderle, and hence such name for the store. (5 Middle Road. Phone: 441/292-4583; Open daily from morning until midnight). Tony's Fine Foods is located at Coney Island junction and quite popular to the islanders for the Chorizo on bun (a Portuguese specialty with sausage). It has a grocery store as well stocking fruits, vegetables, and other essentials (202 North Shore Road, Phone: 441/293-3354, Open daily). Bus #1, #3, #10 and #11 start from Hamilton City, go through Hamilton Parish and go up to St. George. Bus #1 and #3 take a different route along the south of Harrington Sound. Check this Interactive Map of Hamilton Parish. You will be able to zoom and move the map around to see great details including the attractions and other main places of interest within the parish.